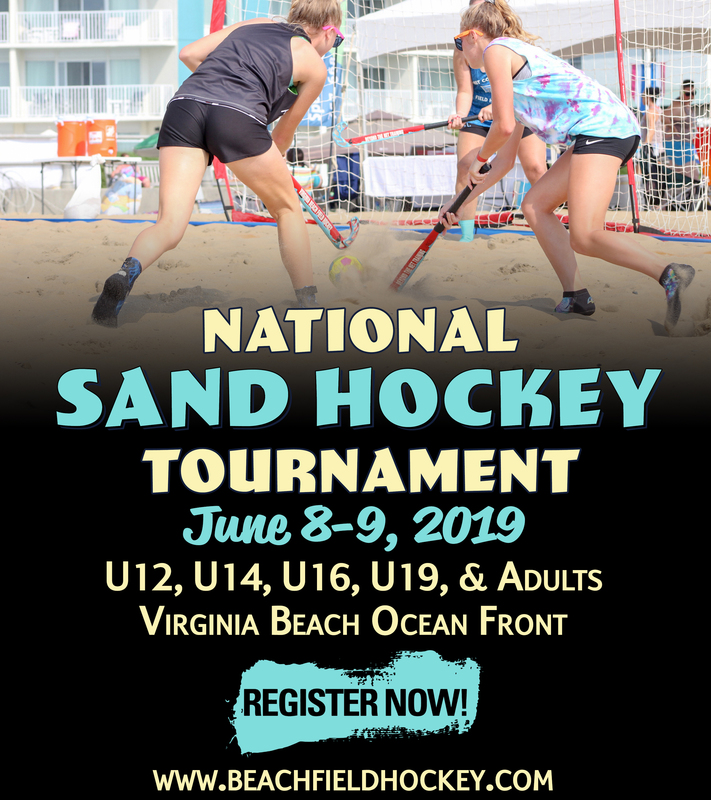 Join us for a fun filled tournament weekend as field hockey storms the beach for it's 4th year, as Virginia Beach Field Hockey's "National Sand Hockey Tournament" during the North American Sand Soccer Tournament at the Virginia Beach Oceanfront June 9th-10th 2018. Each player will register individually, and then choose a house team, their own team from drop down menu, or create your own team. Email Dena and she will add your team name on registration options for you if not currently listed: de0916@live.com Club team registrations contact Dena directly for instructions! 10 players and a gk maximum per team. Eligible age groups are U12 (must be 10 years of age as of June 9th, 2016) may have males players. Must have Equal number of female to male players on pitch at same time exception: gk who may be male or female. Adult teams 18+ we will have a Co-ed division. You can also be an all female team. If you are forming a Co-ed team, you must have an equal number of male to female field players on the pitch at all times. Exception: GK can be male or female. We are enforcing this rule for good fair competition and your safety. Additionally, only in cases where teams do not have enough for a game will substitute players be allowed on a second team. Must be approved by VB Hockey staff! 5 game guarantee. Each age group winner will receive awards. In case of a pool tie, we will first go to goal differential, and then a 5 minute sudden death playoff. Basic sand hockey rules will be followed, but may adjust for our tournament purposes. See www.beachfieldhockey.com for rules of the game. When registering, please select "player" under member type if you are over 18. This will bypass the guardian information for those players who are under 18. If under 18, you will select "player" as member type and enter your child, then clone the registration as adult and select "parent" as member type. Registration is now open! order your own stick now, with our exclusive stick manufacturer Harrow Sports! We will again be located at 11th street for 2019! 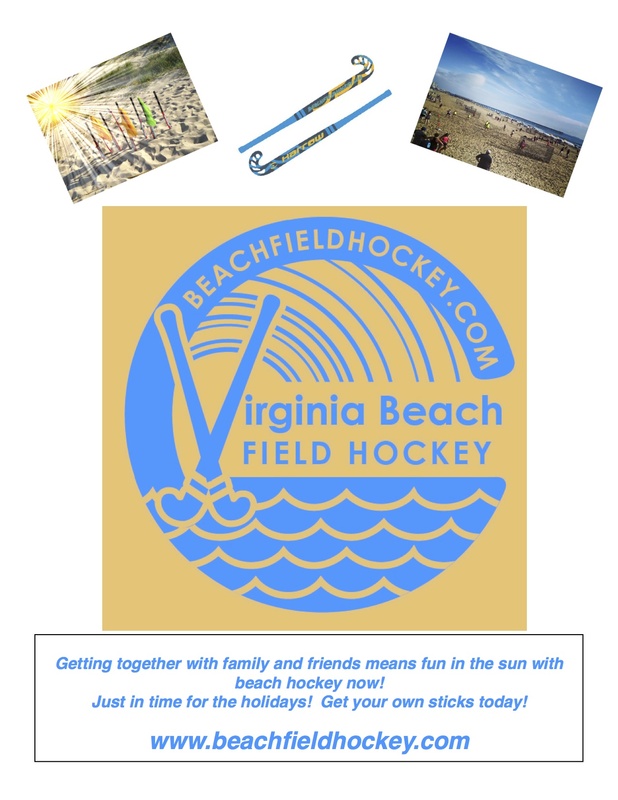 Stick rental will be available during the tournament for a nominal fee of $5, however sticks must be left on the pitch after the game. We lost sticks last year folks, and want to be able to provide a fun weekend for everyone! Every player will be able to rent a stick! Basic sand hockey rules will be followed, but are adjusting, including NO charging at start of game, and a three foot perimeter is now in place surrounding the goal keeper for safety. Sand hockey sticks are only allowed no regular field hockey sticks. Each team starts with the ball per period. (3) 8 min periods for U14 up, and (4) 6 min periods for U12.